A senator wants more incentives to support the use of e-vehicles throughout the country. Although the Department of Energy has been promoting the use of electric vehicles (EV), Senator Win Gatchalian says it has produced only a few policy instruments to support the growth of EVs in the country. Gatchalian, chairman of the Senate committee on energy, urged the DOE to craft a roadmap for e-vehicle adoption in the country, in coordination with the Department of Transportation, Land Transportation Office, Land Transportation Franchising and Regulatory Board, Metro Manila Development Authority, and other relevant agencies. “Moving forward, we want to see research. Of course, this will not be without opposition,” said Gatchalian. There will be opposition, let’s expect that. But we have to clearly explain the advantages of promoting e-vehicles. I expect the DOE— which is a much larger organization—should have that data,” added Gatchalian. The senator cited the importance of a sound policy and regulatory framework for electric vehicles to usher in the uptake of electric vehicles in the country. During the Senate Committee on Energy hearing on Senate Bill No. 2137 or the Electric Vehicles and Charging Stations Act, Gatchalian questioned the energy department’s long term plan to ensure the promotion of the adoption of electric vehicles and the sustainability of the e-vehicle ecosystem in the long run. 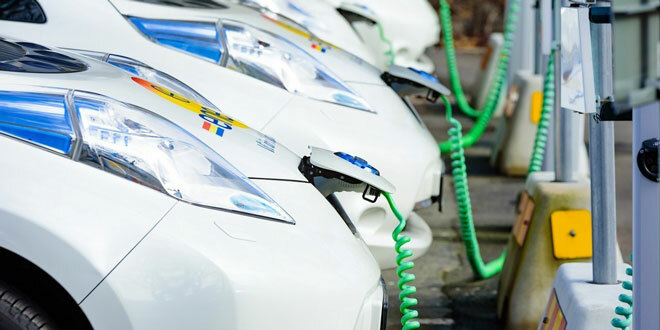 SBN 2137 seeks to address the challenges to the development of the electric vehicle industry by instructing the DOE to create an Electric Vehicle Roadmap and distribution utilities to incorporate a Charging Infrastructure Development Plan in their Power Development Plan. Gatchalian said he hoped to solve the entire supply chain of e-vehicles, including the charging stations. The measure will require private and public buildings and establishments to have dedicated parking slots with charging stations and mandates open access for the installation of charging stations in gasoline stations. SBN 2137 also expands non-fiscal incentives – such as exemption from number coding and prioritization in registration – and institutionalizes time-bound fiscal incentives for manufacturers and importers of electric vehicles. Gatchalian believes that by promoting the use of e-vehicles in the country, the Philippines will become less dependent on oil importations. “At the same time we would reduce dollar outflows, mitigate greenhouse gas emissions, create more jobs for Filipinos,” he said.